A calendar which never becomes obsolete and creates different colour combinations for over 40,000 days, remains a lifetime. The Cubes Perpetual calendar of the MoMA collection is dynamic and interactive, and changes its appearance every day. The calendar consists of four cubes made of plastic, representing the day of the week, the month, and date. The only thing you need to do is arrange the cubes. The cubes are put on a pedestal showing the date in full view. But the four dice can also do without the platform and will present the date in the same way. The Cubes Perpetual calendar is available in two different versions. 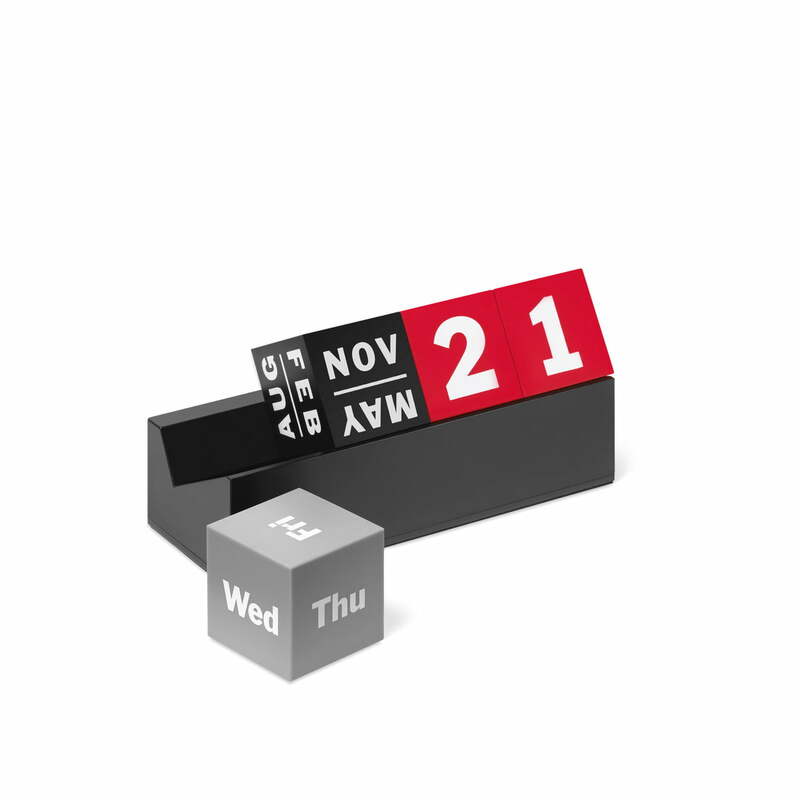 The Cubes Perpetual calendar from the MoMA collection in red, black and different shades of grey displays the day of the week, the month, and date for over 40,000 days.